At the completion of any procedure, once you are released from the dental office, your dentist will give you post-treatment or post-operative instructions. These are essential for any patient to follow if you want to ensure the success of your dental procedure. In the case of dental implants, observance of these post-operative instructions will help patients prolong the life span of the implant system and take care of this investment. Dental implants are not cheap, so to enjoy its amazing benefits taking good care of implants is a must. While the success of your dental implant placement procedure is dependent on a lot of things – the skill of your dentist, observation of infection control protocols, and the health of the patient and the bone – it will also rely on your own efforts. Just as everyone is encouraged to take active participation on taking care of their natural teeth, the same is true after the implant system is installed in the mouth. Do not subject your implants to excessive force. This is most especially true when your implants have just been installed and not yet stable. Ideally, a fully stable implant will have integrated with the bone, giving it much strength and power to endure all kinds of forces. 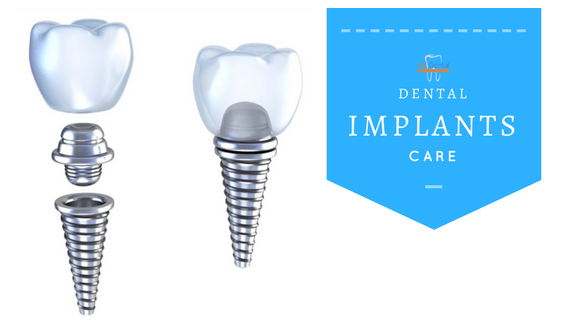 As a foreign material, you should still understand that implants will never compare to the natural tooth so always keep in mind that you have “screws” embedded within your jaw and especially during the 2-6 months of stabilization, do no direct any kind of force on the area.